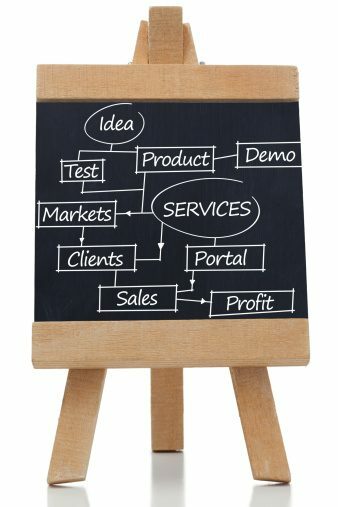 As with any business, your MSP must develop a competitive edge by finding different ways of promoting your uniqueness in your market. Ulistic can do this for by differentiating your solutions, services, professionals, and brand to help you capture a firm standing in your market. In today’s growing MSP marketplace, companies mimic one another with the “same old” support and services language. Need proof? Look at this simple Google search on one overused term in our industry. How do you stand out when you say the exact same thing as other managed service providers? You don’t! You sound the same as your peer and your biggest competitor. Why would a local business want to do business with you when you say the same old thing as the next guy? Time to stand out from the crowd. Ulistic will help you set your MSP apart from the others. We’ll design and implement a marketing strategy that distinguishes you and creates a competitive edge. Perhaps you believe that you’ve already done this, but remember there are always those up-and-coming MSPs who’ll want to take a part of your market share. You can never let your guard down. In this case, Ulistic can help you retain your edge over others. Read how Ulistic helped Colorado Computer Support achieve stratospheric success. With a high-level, customized marketing plan to help you capture an increased share of the IT services and support market in your area, and keep the territory that you have. Ulistic offers a turnkey, full-touch that appeals to your prospects using a variety of communication vehicles: web, phone, paper and electronic. These four marketing solutions are essential to ensuring maximum return on your marketing investment. An MSP Marketing Website: We’ll design and manage a fully optimized professional website focused on your core services. The website will be optimized for Google searches, and relay what makes you different from your competitors. The website will include examples of your services, including photos, testimonials, case studies and other highly targeted articles focused on your particular services. Your marketing website will focus on capturing prospects and turn them into clients. Full search engine optimization services for your marketing website. Research of all key search phrases that may be used by prospects to find services offered by your MSP. Research and writing of all articles and client stories as part of this service. Consultation and collaboration with your staff and clients to design and develop highly specialized content for the web, for print, and to aid in your sales process. Support to deliver and execute Ulistic’s 17-Step Sales and Marketing Process (including training). A complete marketing kit, client testimonial videos, sales slicks and other print marketing for your marketing kit. The creation of comfort and endorsement letters for your sales process. Design, print and execution of up to 100 direct-mail postcards or sales letters to your top prospects. Ulistic will reach out to these prospects each month. Development of a minimum of one written case study per month. Ulistic can execute more than one when required for no additional cost based on availability. Delivery of a case study or specialized article to media or organizations that cater to the your industry. The goal is to have these articles or case studies featured in their publications. A monthly e-Newsletter to all your clients and prospects. Assistance with other marketing requests not specifically highlighted in this plan; including assistance with event management, telemarketing and any other service that may be requested. Any additional fees will be made known at the time of the request. Never look back. Leave the competition in the “dust” with Ulistic’s MSP Marketing.